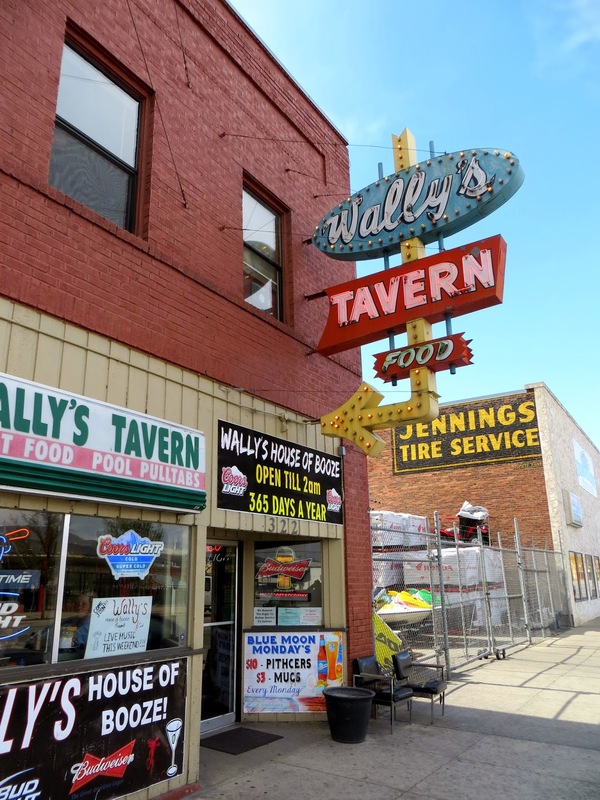 AKA "Wally's House of Booze," Wally's Tavern is a classic small town dive during the day, but it appears that it can get quite hopping with some interesting bands on weekend nights. 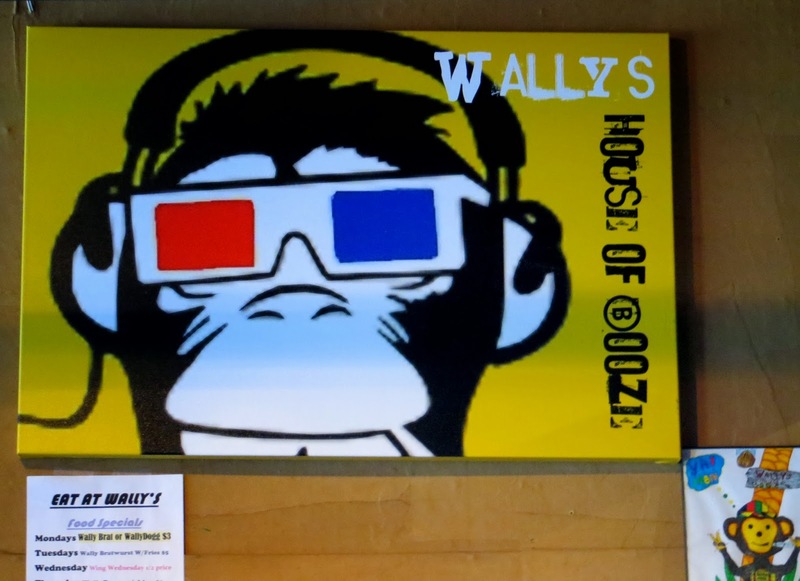 Wenatchee, WA is a town of great signs, and the Wally's sign is one that demands you check the place out. 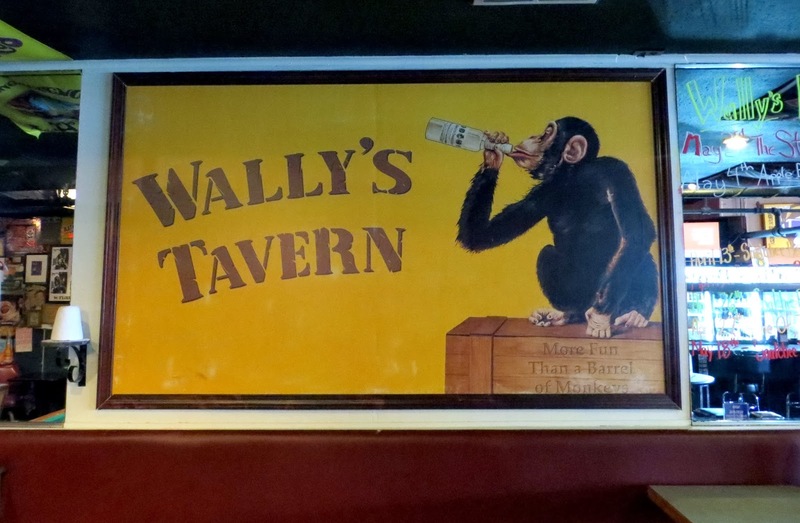 I would love to know how old Wally's is and how long there's been a bar in this space. 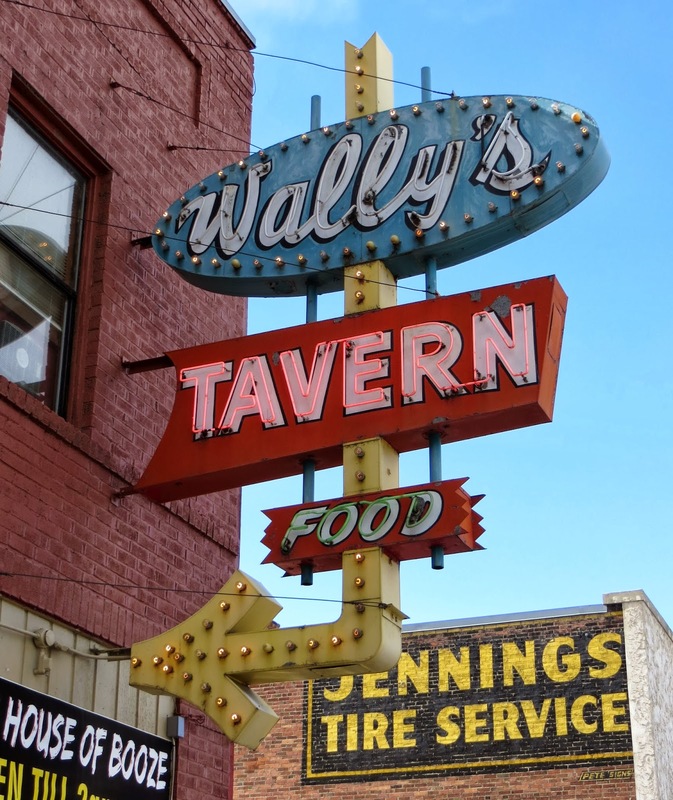 The very limited city guide information I have at does not list a Wally's in the 1936 or 1940 directories (or 1907), but these do list several bars of other names on Wenatchee Ave without specific addresses. 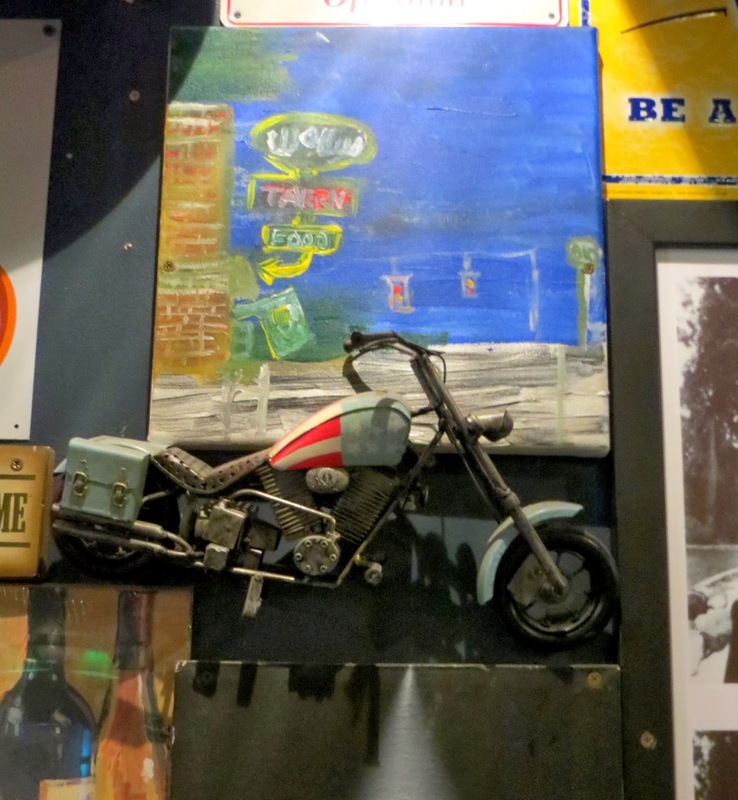 August 2018: Friendly bartender and local customers. 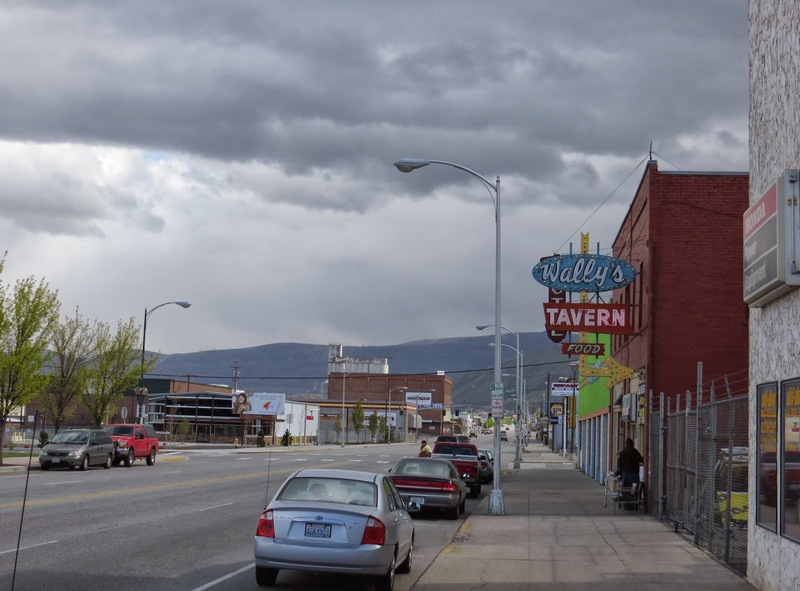 When the Great Northern passenger depot was just down the hill, upstairs was a railroad hotel. Pretty old looking in the upper level and back exit.